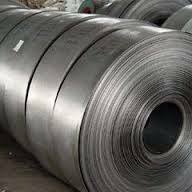 Wholesale Supplier of a wide range of products which include hr sheets, hot rolled sheet and hr steel sheets. We are leading supplier of HR Sheets. We offer this product in numerous specifications to fulfill the wide needs of the clients'. We procure our range from reliable vendors, who use quality material to fabricate the product range in different grades, width and thickness. These sheets are easily purchased by customers at market leading prices. Hot rolled sheet offered comes in quality construction finish and can be made available in different finish specifications including choice of different shapes like flat, round bar, square bar, plate and others as per the specific demands of the customers. Thee sheets can also be provided with different surface treatment choices like black surface, galvanized and others. Some of its features include superior hardened, tempering & annealing finish, superior mechanical property, surface coming with equal hardness finish, finds use in different industry applications, can also be offered in OEM specification choices. 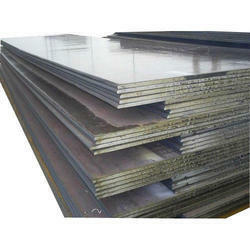 HR steel Sheets offered can be provided in thickness options of 3 to 100mm as well as in width choices of 1000 to 1500mm or as demanded by the customers. These quality finished steel sheets can be offered in 304 or other material grades and provide for versatile performance support in different end areas. Some of its features include superior anti-rust performance, capability to work in high temperatures, comes with excellent corrosion resistance and resistance to inter-granular corrosion, can also be offered in 304L low carbon stainless steel variant, suitable for use in areas like water heaters, boilers, building materials and other areas.